This project began with the demolition of a vacant warehouse. The project remains on target with excellent progress this quarter. A total of 6 offers on residential units in block A have been accepted, and an offer was received to bulk buy blocks B & C. A total of 3 commercial units are now at offer accepted or exchanged status. Limehouse is just around the corner from the Homegrown offices. Demolition was completed this quarter and the developer now has new contractors, who are due on site in November 2017 to begin work on 56 brand new homes, 16 of them affordable. Sales have progressed, with deals commencing for 28 of the private units and all of the affordable units (30k above the business plan). This project is an example of mezzanine finance, the others being examples of equity finance. If you would like to find out more about mezzanine loans, you can read our brief explanation here. This project began with the demolition of warehouse buildings, in order to build 60 residential units, 15 of them affordable, as well as 3 commercial units. The development is currently progressing on time and budget, in accordance with the business plan. Full planning permission has been granted, and construction has progressed well according to the developer. The development will be marketed in Hong Kong and Shanghai at the start of 2018. A domestic sales launch will follow later in the year. The developer has signed a contract with the main contractor and there is a line of communication open with local estate agents in respect of the sales strategy. The development is progressing on budget and schedule. 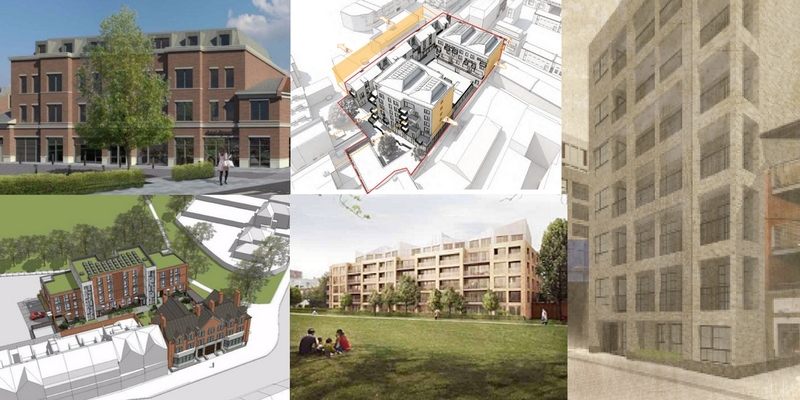 This project aims to redevelop an old police station into a mixed-use 3 storey building. Only one month in, at the release date of this report, the original property was successfully purchased in early September 2017. Construction and refurbishment is expected to begin through an in-house contractor in November, after demolition.